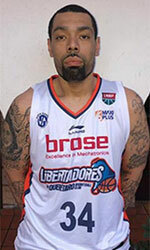 Libertadores de Queretaro (LNBP) inked 29-year old American forward Anthony Young (200-113kg-89, college: Ky Wesleyan). He played in the summer at Olimpia in Paraguayan Metropolitan League. In 6 Liga Sudamericana games he was third best scorer with impressive 19.3ppg and had 6.7rpg (#3 in the league) and 1.0spg. 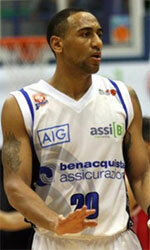 The last season Young played at La Union (LigaA) in league where in 33 games he recorded 14.4ppg, 5.1rpg and 1.0apg. He received Latinbasket.com All-Liga Sudamericana 1st Team award in 2018. Young is a very experienced player. He has quite traveled the world as his pro career brought him to six different countries on three different continents (Europe, Latin America and of course North America). Young has played previously professionally in Germany (ETB Wohnbau and BSV Wulfen), Puerto Rico (Capitanes), Uruguay (Larre Borges, Bigua, Urunday Universitario and Montevideo BC), Venezuela (Gigantes), Argentina (Penarol) and Dominican Republic (Huracanes del Atlantico). He attended Kentucky Wesleyan College until 2012 and it will be his seventh season in pro basketball.